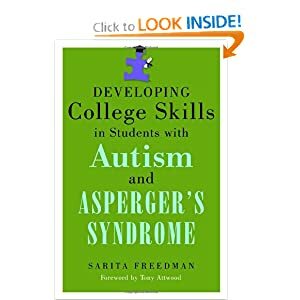 My guest today on Raising ASD Kids and Teens is Dr. Sarita Freedman of College on the Spectrum. She is the author of the popular book Developing College Skills in Students with Autism and Aspergers Syndrome. Our talk today concentrated on the skills your child needs to develop throughout their K-12 years. We had a terrific discussion about executive functioning and its importance in your child's overall education. Listen HERE to the show. Dr. Freedman will be returning to our program February 15, to finish our discussion about balance, education and getting your child where they want to go.